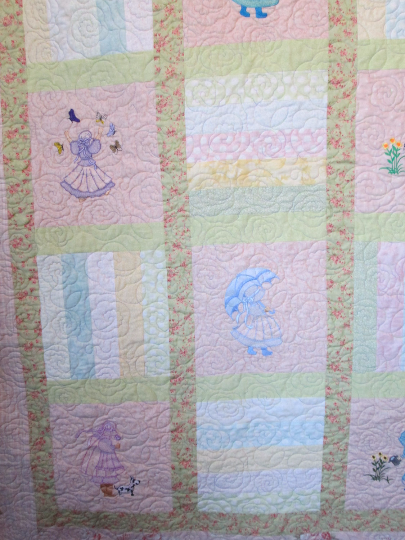 Offering this beautiful full / queen size quilt, perfect for your shabby cottage bedroom! Measures 88 x 96.5". 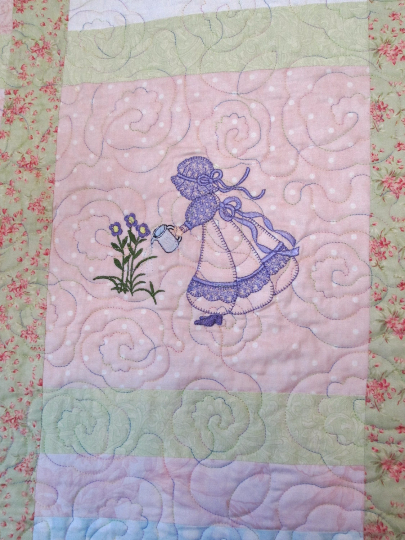 Includes machine embroidered sunbonnet ladies with flowers, watering cans, puppy dogs, umbrellas,and butterflies. Thread colors range from pinks, yellows, greens, blues, lavendar, purple, aqua, and champagne. 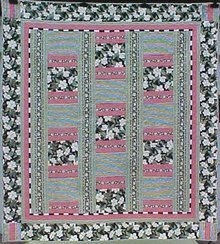 Alternating rail fence blocks are made of pale cottage pink, blue, yellow, green, and whites - prints include polka dots, florals, and geometric patterns. Sashing is a wonderful cottage green with dark pink floral print. 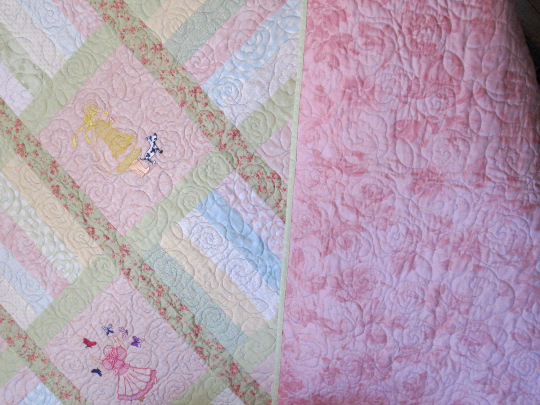 Top and bottom borders are a soft pink cottage rose print; side borders are a soft pink and green plaid with a machine appliqued green vine and broderie purse appliqued roses. 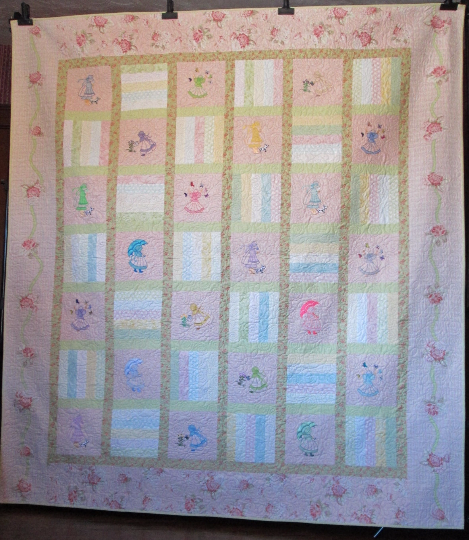 Machine quilted with a wonderful cottage rose pattern in pastel verigated thread. 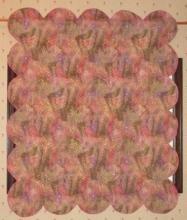 Backing is a tone on tone pink toile fabric. Binding is a lovely coordinating spring green fabric. Batting is 80% cotton/ 20% poly for softness and durability. 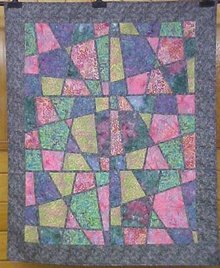 This quilt was made by me in Caldwell Ohio at my quilt shop. 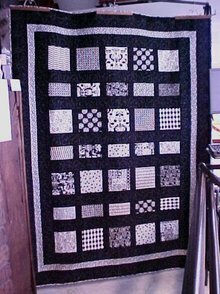 It is one of my own patterns, a one of a kind quilt. This would be the center piece of any little girls or a shabby cottage chic bedroom! International shipping available upon request. More photos available. Don't miss out on this one! 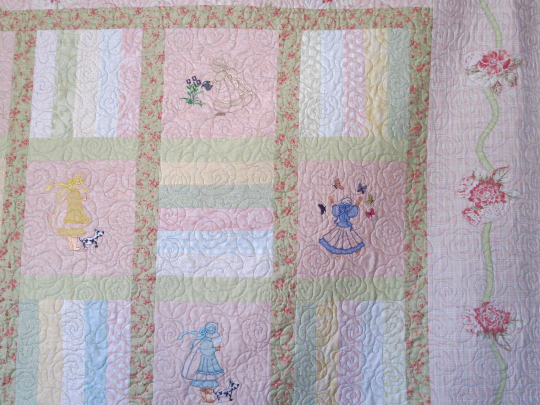 Items Similar To "Quilt Embroidery Ladies Pastel Shabby Cottage Chic Queen Size"